HK spacer for sear spring. German surplus in excellent condition and perfect working order. 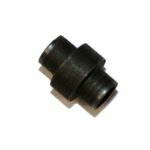 This spacer works for all HK trigger packs including: HK91, G3, PTR91, HK93, HK53, HK33, HK94, MP5, SP89, MP5K, HK21, etc.